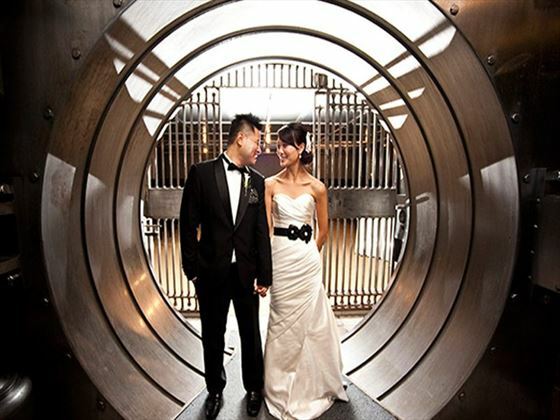 One King West Hotel & Residence offers guests one of the best, most desired addresses in the city for a wedding. 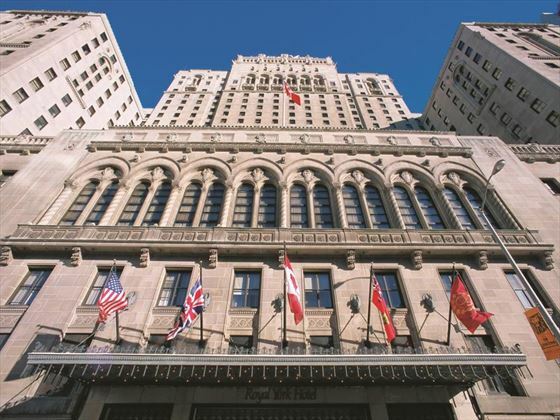 Originally the home of a very prestigious bank, redesigned now as a hotel, One King West will certainly offer you one of the most unique wedding venues in Canada. The prestigious address of One King West was first home to the original Michie & Co. Grocers & Wine Merchants, established in Toronto in the mid-1800s. In 1879, the much sought-after location changed owners to become home to the head office of The Dominion Bank, a residency that would last an impressive 126 years. 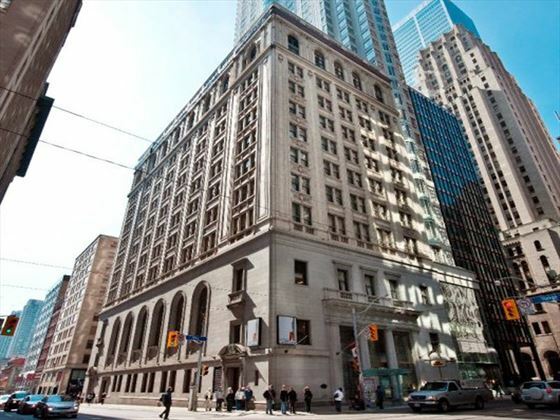 In 1999 the Dominion Bank Building, now deemed a Heritage Building, was carefully redesigned for residential use and by 2006 the transformation was finally complete, resulting in One King West Hotel and Residence. Today, guests of the hotel are treated to the historical splendour of the Dominion Bank Building along with the modern sophistication of luxurious hotel amenities and services. 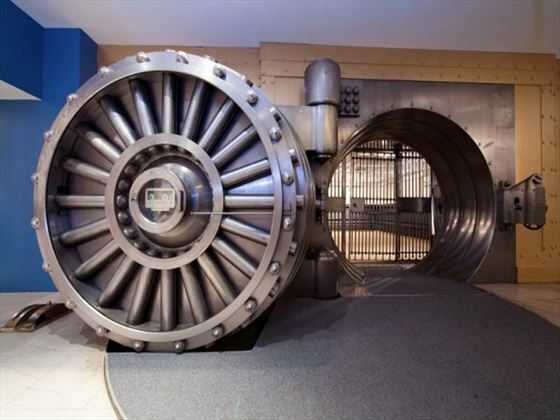 Located at the bottom of the wide marble staircase leading from the personal Banking Area is the bank's original vault. 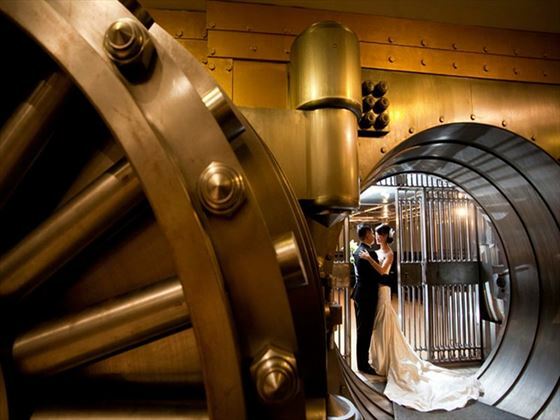 At the time considered the largest and best equipped bank vault in Canada, the vault is approximately 33 feet square by twenty-five feet high, and is divided into two stories; the upper or Safety Deposit Vault and the lower or Treasury Vaults and this is where you will exchange your vows. Legally you could get married the same day as you arrive, however, we recommend you have a couple of days to get used to any time change and orient yourselves. You can apply for your wedding licence online before arriving into Toronto (cost of the licence is not included and is paid for when collecting your licence in Toronto. The marriage is valid for 3 months from the date of issue. Marriage licence (applied in Canada) - $125 licence fee required (in cash) when collecting wedding licence in Toronto (approx. £80). After confirmation of booking your wedding date and, our local wedding coordinators, Maple Leaf Weddings, will be on contact with you by e-mail or telephone to arrange a date and time to meet up with you in Toronto to welcome you, accompany you to the Toronto Registrar’s Office in order to collect your marriage licence, visit the options for your outdoor ceremony and discuss any final wedding arrangements. You must have photo-ID with you when you visit the City Clerk’s Office (unless you are collecting it at an alternative Canadian office). 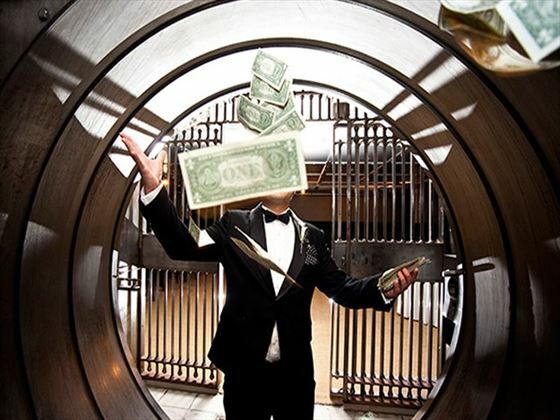 $125 licence fee required (in cash) when collecting wedding licence (approx. £80). 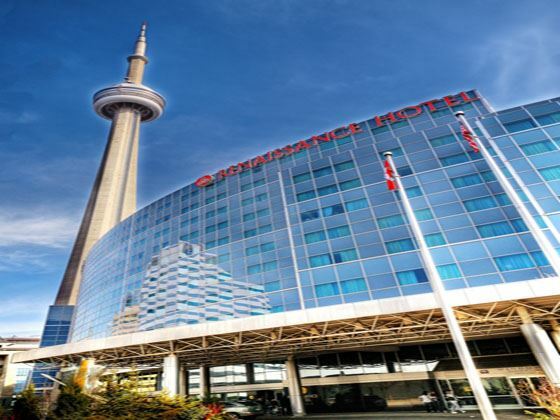 These are three of our favourite hotels in Toronto which are ideal for a wedding or honeymoon, but there are plenty of other great options available to choose from - please call us for details. 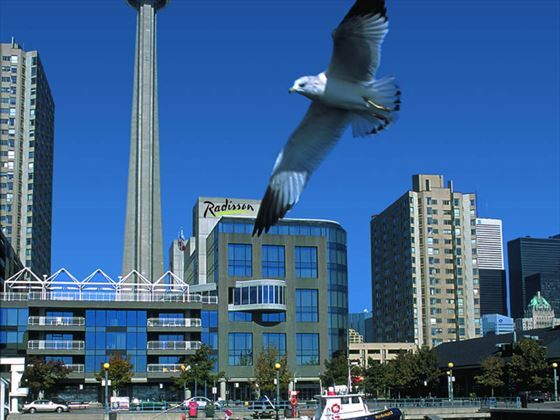 Why book your Toronto Wedding with Canadian Sky?